From time to time, I like to share noteworthy drug store finds and today I'm bringing you another little gem. I'm always on the prowl for pure and inexpensive facial cleansers. You may remember me telling you about this one not too long ago. After a recent drug store shopping spree with my Mama, she recommended I give this cleanser a try. My Mama never steers me wrong y'all, and this is just another example. I actually like this one better than any other drug store brand I've tried. 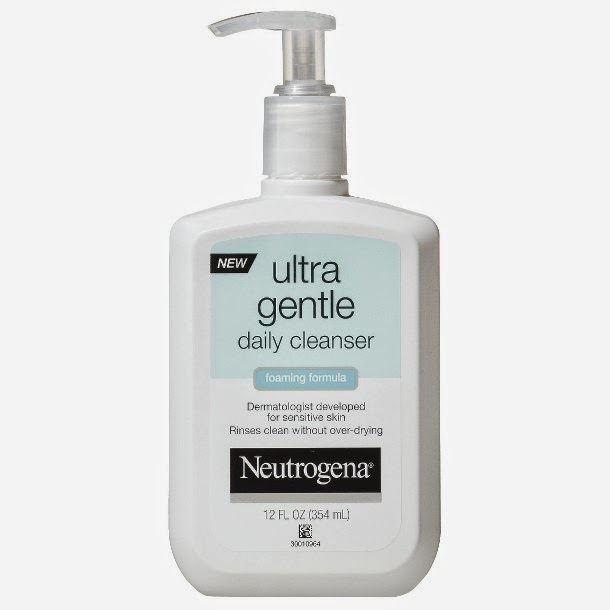 This cleanser is extremely gentle which is a major plus in my book. It foams nicely and I really like the gel-like texture. I will tell you that waterproof eyeliner does take an extra pump of cleanser but that's not a big deal to me, especially when this product is so inexpensive. It's gentle on eyes and that's at the top of my list. It leaves my skin feeling clean but also moisturized...no tight skin feeling. I use it at night and in the morning. As I've mentioned before, a trip to Sephora isn't always do-able when it's all the way across town and you are out of cleanser right now. Therefore having great alternatives in my arsenal is a must. What about you? Have you tried this product? Love it, hate it? Have a lovely Friday Eve!